for every aspect of your restoration, remodeling or repair projects! We specialize in Antique Lighting! We have a large selection of lighting, from Mid-Century to Modern. We also offer full restorations and rewiring in-store, your lights or ours! 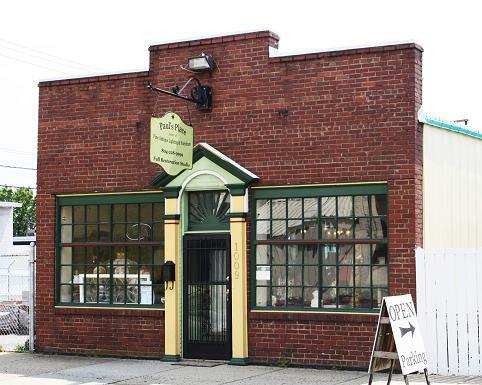 Our frequent customers particularly value our wide variety of age and styles of our antiques and lighting. We hope that you too will become a valued customer! In brief, Paul’s Place was founded by the unique Paul Ferramosca, who has over 30 years of experience with collectibles and antiquities. Our company was established in February of 2008 and has been responsible for providing an outstanding collection of Antique Lighting, Furniture and Architectural Salvage along with restoration of all the above.